Safe for use on children 2 years and older. 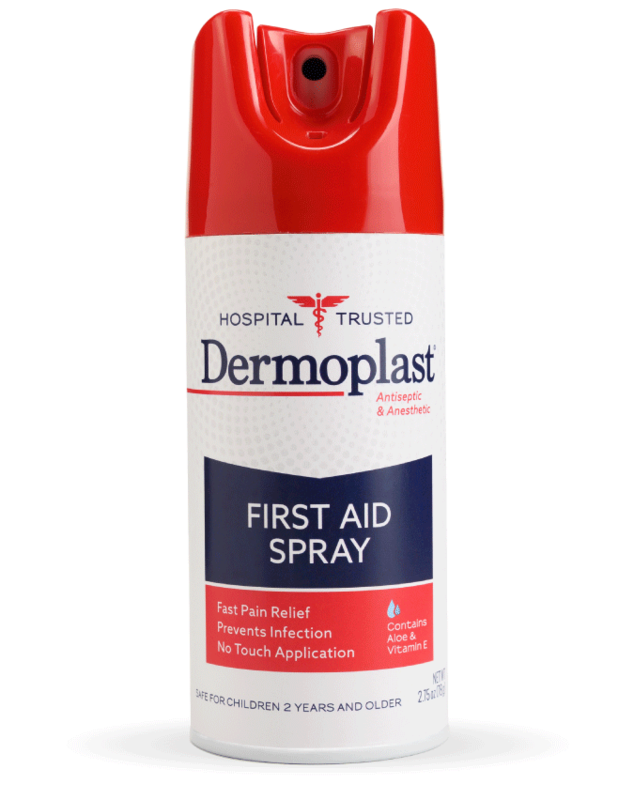 Many women were introduced to Dermoplast in the hospital, after which our products became an essential part of their families’ lives. 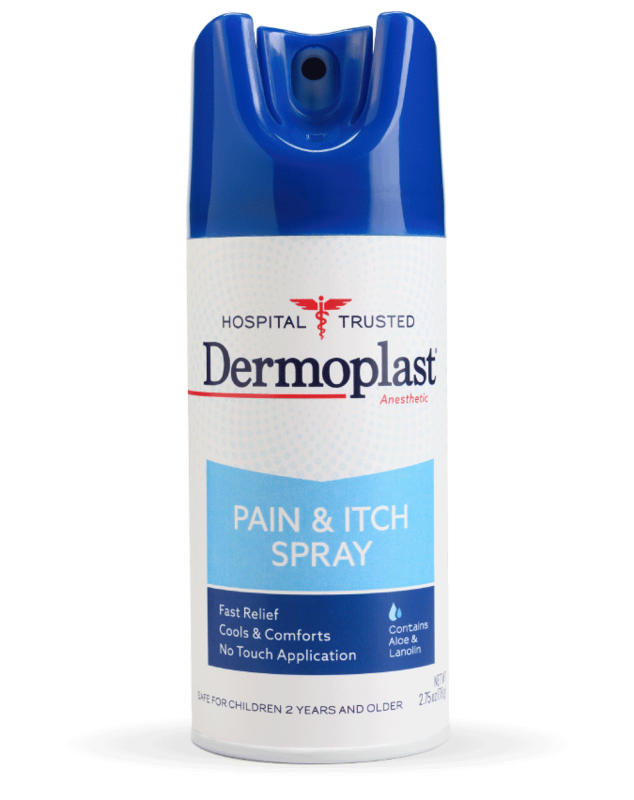 Widely dispensed in the hospital for more than 50 years, our products have been designed with maximum strength pain relief and “no-touch” spray application. 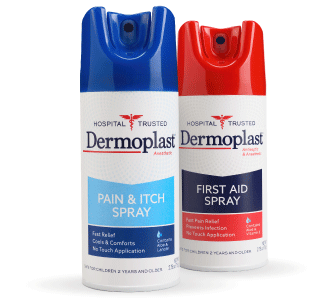 From hospital to home, minor cuts to minor burns—with Dermoplast, you’re prepared to care for your family.